Colfax Charter will be holding a benefit rock and roll concert on March 17, 2018 featuring Colfax’s very own performers and bands! This opportunity is open to students who already play instruments, and those who don’t! 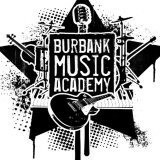 BMA will teach students to play an instrument in time for the show! Space is limited and these forms will be accepted on a first-come, first served basis. Applications can be submitted ONLINE beginning at 8pm on January 16, 2018. Only students 2nd - 5th are eligible to participate. Questions will be answered at the mandatory meeting on January 22nd at 6:30pm. Bring the students - See you then! Students must attend 5 one hour long weekly rehearsals and one full show rehearsal. Participants will get an email notifying when their rehearsals start. Rehearsals will be scheduled by BMA most likely on Mondays, Tuesday, Fridays, Saturdays or Sundays.